ATMA is national level management program entrance exam which stands for Aims management admission test. This exam is conducted by the Association of indian management school. It conducts this examination five times in a year. The month of exam are theses: January, february,March ,May , July and August.So candidates can chcek the application form on the official website of ATMA and catch the opportunity. 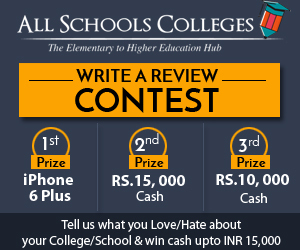 Guys, you can get detailed information about ATMA dates, admit card, result and much more stuff on the allschoolscolleges.com. Here you can read the Imaportant dates of maharashtra common entrance examination. The minimum educational qualification for the candidate who is attempting ATMA is bachelor degree. The final year students or the students waiting for their final results can also fill this form. ATMA provides separated registration process for each five month exam.ATMA announced the schedule in advanced.Candidate can select their registration process as per their comfortness. ATMA provide only online mode to resgister yourself.If you are intrested in the ATMA 2018 Exam then click on the official website and fill the application form. Candidates fill the application form online and pay through your bank account/paytm.But ATMA also sell the application form at the notified centers.The application fee is only 1100/-. Visit the official ATMA website and look for the ATMA registration link to fill all your name, address, date of birth, country and all the other necessary details. After filling all the details correctly click on “I Agree” and fill the correct CAPTCHA. As soon as you submit the necessary details you will get the login credentials (login Id and Password) through SMS and Email on your registered mobile number and mail ID respectively. By Clicking on the “Existing User” tab login on the website with the help of your login credentials. As soon as you login, fill up the application form by providing the correct personal details, educational qualification, work experience, programmes, Academics and all other which are essential. Upload your latest passport size colored photograph and your valid signature as per the given dimensions on the website. The students will not be able to make any changes in the application form once the final payment is done. However, the conducting authority provides the provision of changes in some of the details. As it is one of the most popular tests to get admission in one of the most prestigious colleges of management, there is no as such syllabus for this exam. Yet, the analysis of the last 5 years question papers will help the candidate to know about the exam and its pattern. Here, in this table, we try to summarize the topics based on the last year's questions asked. The above mentioned are the core subjects. Questions may be asked apart from these. The above mentioned are some of the important topics. The candidates who passed the ATMA exam will be selected for the next level by the IIM. The candidates are selected by the different the B schools based on their ATMA cut off Score. The shortlisted candidate will send the call letters directly to appear for the written Ability test (WAT), Group Discussion (GD), group Activity (GA) and personal interview rounds. Each B_SCHOOLS have the different admission criteria. Quantitative Ability How to Prepare for the CAT Common Admissions Test by Muhamed Muneer, published by Om Books. Quantitative Ability Arun Sharma’s The Complete CAT Digest, by Tata McGraw-Hill. Quantitative Ability Arun Sharma’s ‘How to prepare for Quantitative Ability for CAT Published by Tata McGraw Hill. Ask any question about ATMA?